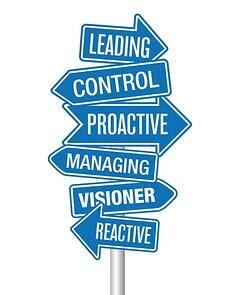 Let's think about business strategy in two ways: proactive and reactive. These behaviors apply in every type of organization, in every market imaginable, but in the world of joint use, knowing the difference—and knowing what type of business you want to be—is more important than you may realize. What type of joint use partner are you, and what can you do to change your course with smart enterprise asset management? Read on to find out. Reactive organizations resist change or prolong action until a situation forces them to act. For example, say a utility pole owner believes there are likely a number of aged poles in the field, but neglects to assess them… until weather takes down a few dozen and service is interrupted. While this may not be intentional neglect but more likely a consequence of resource constraints or other internal issues, this situation results in a big problem when it impacts a large field asset base. The result of this type of decision-making is pretty clear. By waiting for circumstance to dictate action and by failing to anticipate certain major events, companies put themselves at risk—of increased liability, reduced revenue and service interruptions. Proactive organizations continually scan the horizon for opportunities to improve performance, head off problems before they occur or simply plan for worst case scenarios. For example, a pole owner may know that field inspection is recommended every five to seven years, but understands that data gathered is deteriorating almost as soon as the technician leaves the site. Being proactive, the organization would perhaps schedule more frequent inspections and process data more quickly and efficiently so that it can be put to good use before it goes stale. An organization prone to backlogged overdue work could put processes in place to ensure future requests are handled more efficiently and in accordance with regulatory mandates, keeping new pile-ups from occuring. The strategy is about thinking ahead: doing a little work now and anticipating change rather than being surprised by circumstance and forced to do a lot of work later. All told, it takes more effort, time and resources to react than it does to be proactive and plan ahead. Proactive organizations work to stay consistently out in front of typical issues, setting themselves up as best they can for success, before the unforeseen changes the game. The real advice is to devise a plan now. Explore resources to help with joint use and enterprise asset management to break the cycle of being controlled by circumstances and get better at heading off a crisis before it arises. Use our tip sheet below to guide your efforts.